As the nursery is generally a level site with reasonable width between display beds, and no awkward steps, disabled access should not be a problem. Additionally, there are several benches dotted around for visitors. However, if you have any concerns about access, feel free to get in touch before your visit. We have a small room for refreshments where we sell tea, coffee, biscuits, ice creams and cold drinks. There are also toilets available for customer use. 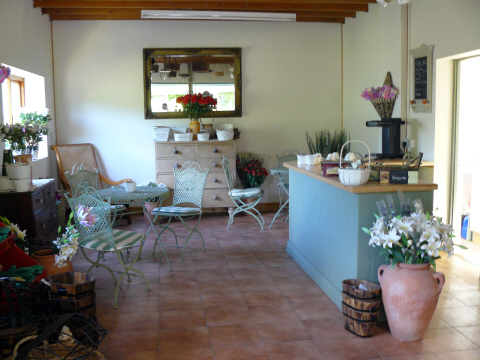 Our shop accepts all major credit cards, and we both sell and redeem the National Garden gift vouchers. We have a large car park, and a grassed overflow area, so there is ample parking space.